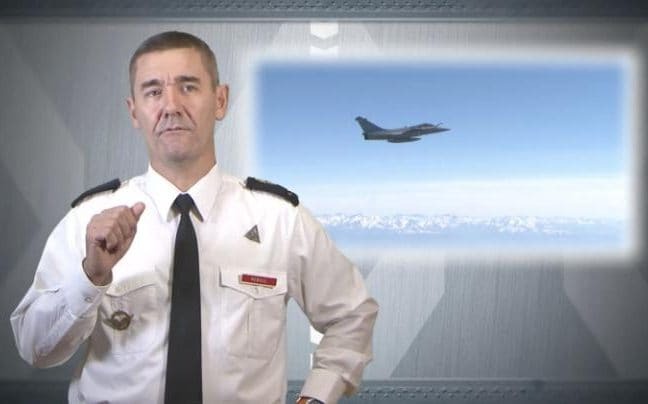 A French air force general is being investigated after using a fighter jet at weekends to fly from his base in Bordeaux to his home in Provence. The air force's second-in-command, General Richard Reboul, used an Alphajet trainer aircraft around ten times in the past year to make the 372 mile trip to his weekend getaway in Salon-de-Provence. By Alphajet the trip takes about 35 minutes at 450mph. That compares with six hours by road and seven hours by train, including two changes. On on occasion the former fighter pilot used a small six-seater military transporter for the trip. French media estimated that with the advanced jet fuel the aircraft runs on, each one of the general's trips away will have cost the airforce – and the taxpayer – between €14,000 (£12,300) and €16,000. A return train or low-cost airline fare would reportedly cost less than €200. Taking a commercial airline would involve flying to Marseille, which would take an hour, followed by a 30-minute trip to the general's home in Les Alpilles, a range of low mountains between Salon-de-Provence and Avignon. The defence ministry has ordered an investigation into the allegations, after the satirical weekly Le Canard Enchaîné broke the story.